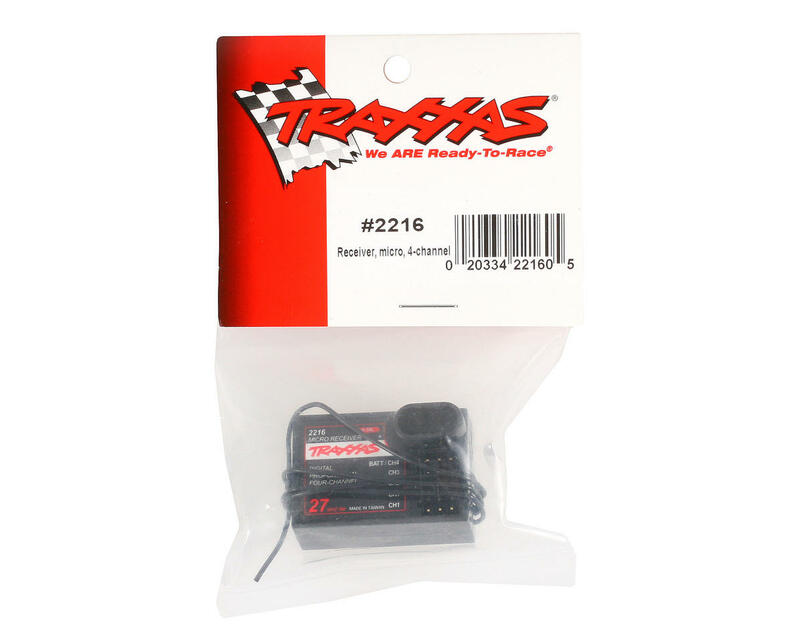 This is a replacement Traxxas Micro 4-Channel 27MHz Receiver. 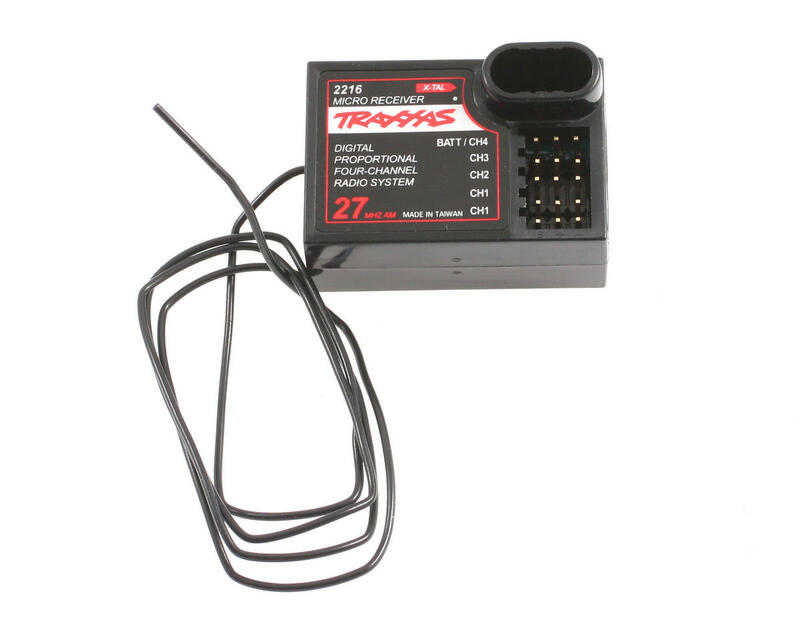 This receiver uses frequency crystals to match the frequency of the transmitter. Crystals not included. For anyone like me who still lives in the more budget-friendly arena of the 27mhz RC dinosaur era, if you're looking for a very compact receiver with a whole lot of channel slots, this is the best one I've found. I've used this receiver on my AX10 for, I guess, almost three years now. It sits comfortably on one of Axial's little polycarbonate plates that mounts above the upper links on the AX10. My crawler has insane articulation and there has never been a conflict of space with this receiver. I've never had a single problem with it. Affords me plug-ins for ESC, servo, winch-down suspension, separate BEC, and I still have a couple slots to plug in programmers, lights, or whatever happens to strike me when I'm in a tinkering mood.